9" Long. It's not easy being green, but this frog puppet wears it well. 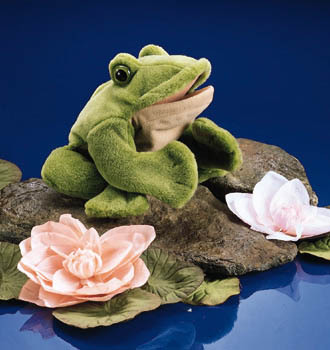 With hook and loop fabric on its feet, it poses easily in sitting position, ready to leave for dragonflies; work his front feet and bigmouthed animate this lily pad prints and make him beg for a kiss.